The early total sales increase in Canada was led by a 16 per cent year-over-year gain in luxury volumes. Luxury vehicle sales in Canada are expected to rise in 2017, says a new report published by Scotiabank. Although it’s still early in the year, the Canadian luxury auto market has accounted for nearly 60 per cent of the year-to-date increase in overall sales volumes in Canada during January and February, five times its normal share, according to Scotiabank economist Carlos Gomes. The early total sales increase was led by a 16 per cent year-over-year gain in luxury volumes. Truck sales also posted double-digit increases. The luxury market will continue to outperform the rest of the market but double digit gains on a consistent basis are likely, Gomes said in an interview with Automotive News Canada. The strength of the luxury market is concentrated in British Columbia and Ontario, two of the country’s fastest-growing provincial economies. Scotiabank forecasted in January that British Columbia and Ontario are set to show the most significant economic growth in all of 2017. Luxury volumes have surged nearly 25 per cent in British Columbia this year, and have advanced 15 per cent in Ontario. Gomes said he was “very surprised” by the increases in B.C. “I expected luxury volumes to outperform and do better than the overall market. But to see gains of 25 per cent in B.C., where the housing market is starting to soften, surprised me,” he said. “The luxury market will continue to be buoyed by robust gains in household wealth,” the report said. As long as housing and equity markets are doing well, the luxury vehicle market will follow suit, Gomes said. Low interest rates and longer term loans and leases are also a factor in the increase, Gomes said. 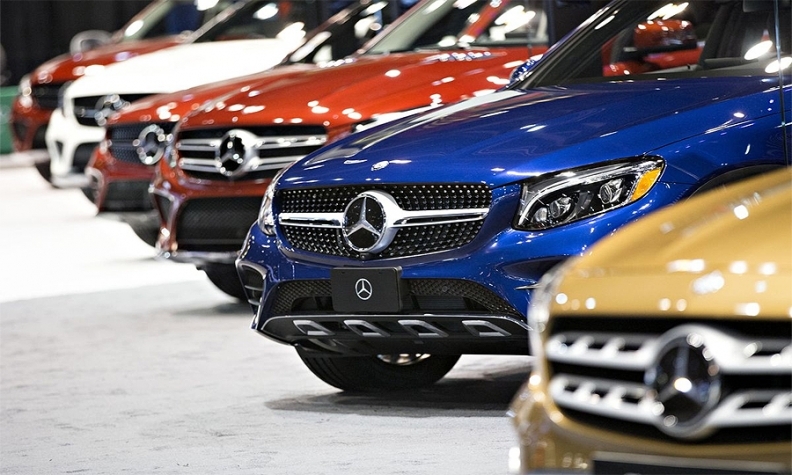 Meanwhile, the strong luxury vehicle market helped keep total vehicle purchases in Canada above an annualized two million units for the second consecutive month, climbing to a record high for February. Scotiabank predicts 1.94 million vehicles will be sold in Canada in 2017, down slightly from the record 1.95 million in 2016. Gomes said the luxury market usually accounts for 11-12 per cent of total annual sales so a strong sales in the segment can keep overall sales high. “If you see a decent gain in luxury sales, that provide can provide a significant boost to annual sales,” Gomes said.